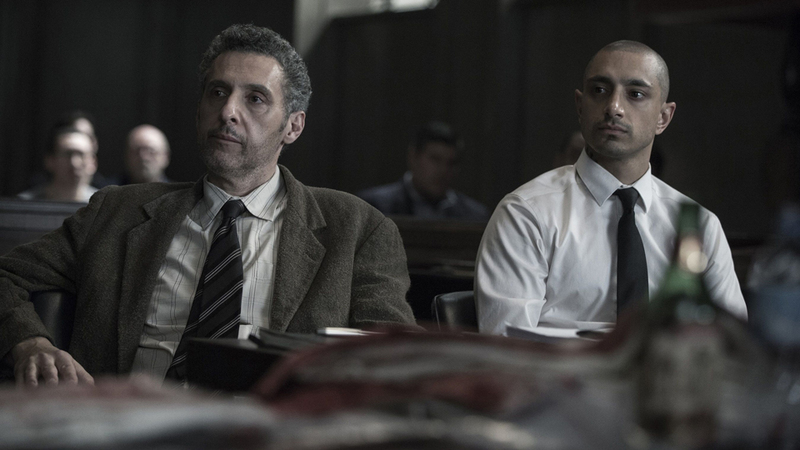 ‘The Night Of’ fully pivots the viewer to the real story. Ever since the premiere of The Night Of, there has been speculation of who really murdered Andrea Cornish. Could it have been the hearse driver Royal Day? Or could it have been the violent criminal in Duane Reade? Better yet, could it have been the result of a strained kinship, nominating Don Taylor as the killer? These are all questions that percolated and solidified over the past month. But as time progressed and The Night Of’s narrative unfolded, it slowly began to show that the answer to those questions descended in the show’s narrative priority. When we see Naz orbit back to the bridge to smoke crack, The Night Of highlights the real issue: the system. This finale answered our question in a purposefully unsatisfying way. Raymond Halle is the killer. This leaves us with two things: an ever-intensifying trial, as we now know for near certain that Naz didn’t kill Andrea, and a hyper-focused perspective of the man Naz’s has been forced to transition into. The latter is what has the staying power. We’re cursed with a conclusion that colors Naz as a drug-addicted suspect, existing as a monster in his own community. After playing a hell of a game in the big leagues, John digresses back to a low-life lawyer earning $250 for a case. Even worse off is Chandra, who has no job and a possible future with no authority to practice. It’s hard to see the end result as a win for anybody, as the battle itself has scarred these people beyond healing. The prison storyline naturally came to an end, with Freddy branding Naz as his unicorn: someone in prison who says they’re innocent and actually is. Repeating the point from above, Naz’s departure from Rikers should have felt victorious on paper, but Freddy is the only person who could fully accept this incarnation of him. His family seems uneasy and unsure around him, only pretending to be a normal family again. There’s a grand separation between the dinners of Episode 1 and Episode 8. The Night Of told us a story, one told to completion. Total resolution is lacking here, but only for the sake of leaving us empty yet full of dread. Will Box and Helen nail Ray? Probably. Will Freddy find another unicorn? In time. Will our unlikely heroes in Naz, John and Chandra live normal lives? Not likely. The Night Of was a story of crime from a unique perspective in Naz. It wasn’t a happy one, but it was a gripping piece of television that was presented in a beautifully packaged, incredibly tight tale that many will strive to duplicate. How do you feel right now? Tweet me @NerdDot or us @YouNerded.